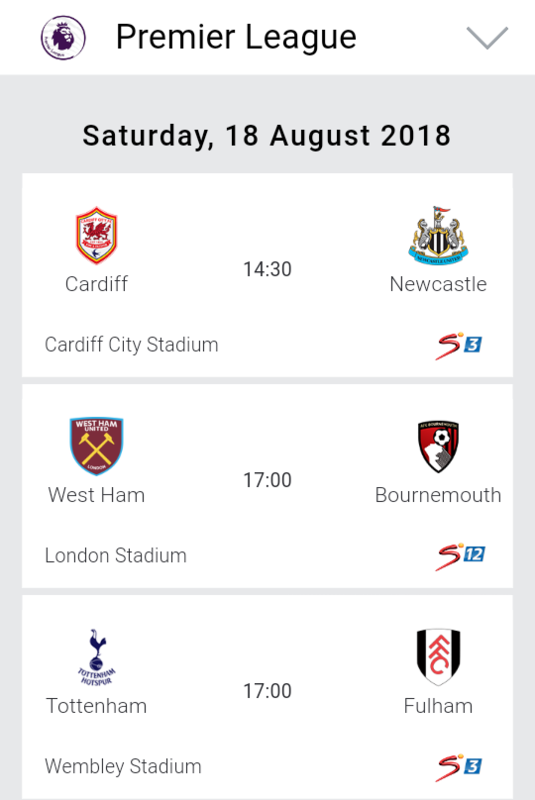 Cardiff City and Newcastle United will square off on Saturday afternoon with both sides looking for their first points of the season. The hosts lost 2-0 to Bournemouth on opening day while the Magpies were defeated 2-1 by Spurs on the same day. Cardiff City’s new loan signing Harry Arter is expected to make his debut, having been ineligible against parent club Bournemouth last weekend. Kenneth Zohore, who has been nursing a groin problem, faces a late fitness test, while Aron Gunnarsson is sidelined with a knee injury. DeAndre Yedlin is out for Newcastle after the right-back injured his knee in the home defeat by Tottenham. Javier Manquillo is set to deputise for him, while Salomon Rondon could start. Cardiff’s run of 10 defeats against Newcastle is their worst ever league record against any team. Newcastle’s 10 consecutive league wins is their best such run against any opponent. Cardiff’s last league victory in this fixture came at home in the Second Division in 1981, while their last top-flight win against the Magpies was in 1961. However, the Bluebirds did register an FA Cup victory at Newcastle in 2014. Everton forward Richarlison, who scored twice on his debut against Wolves, is available after being taken off because of cramp in that match. Phil Jagielka begins a three-game ban and could be replaced by Chelsea loanee Kurt Zouma, as Yerry Mina is out with a minor foot injury. Mohamed Elyounoussi is a major doubt for Southampton because of a tight hamstring. Scottish midfielder Stuart Armstrong has recovered from a knock. Striker Danny Ings featured as a substitute last weekend and could start his first game for Saints. Everton are unbeaten in their last 13 home league games against Southampton, winning nine and drawing four. Saints have scored just seven goals during that run, failing to score more than once. Southampton’s 2-0 win at Goodison Park in November 1997 is their only victory in 19 Premier League games there. However, Everton have won only one of their last five Premier League encounters with Saints (D2, L2). This is only the third Premier League meeting between Leicester and Wolves and the first since a 0-0 draw in February 2004 at the King Power Stadium. Leicester haven’t beaten Wolves in the top flight since a 5-1 win at Filbert Street in December 1983 – Gary Lineker was among the scorers for the Foxes. Wolves’ last top-flight win at Leicester was a 2-1 victory in December 1971. The Foxes have only won three of the last 14 league and cup meetings between the clubs (D7, L4). The last meeting between the sides, in January 2013, ended in a 2-1 victory for Leicester. Leicester will again be without Japanese forward Shinji Okazaki, who only recently resumed training after a post-World Cup break. Midfielder Matty James is out with a Achilles injury, while new signing Caglar Soyuncu is not match fit. Wolves could hand a debut to club-record signing Adama Traore , but Belgian midfielder Leander Dendoncker will not be included. Winger Ivan Cavaleiro remains sidelined by a troublesome back issue. Tottenham midfielders Erik Lamela, Harry Winks and Josh Onomah have returned to training but are unlikely to feature this weekend. Forward Son Heung-min is away with South Korea at the Asian Games. Fulham defenders Tim Ream and Alfie Mawson are out with respective thigh and knee injuries, while Denis Odoi is suspended. Left-back Joe Bryan should be available despite being forced off with an ankle problem against Crystal Palace. Tottenham have won eight of the last nine Premier League meetings between the sides, losing the other. Fulham’s last Premier League win over Spurs was at White Hart Lane, a 1-0 victory in March 2013 thanks to a goal from Dimitar Berbatov. The Cottagers have won just two of their 24 top-flight away matches against Spurs (D6, L16). Harry Kane scored a hat-trick in a 3-0 FA Cup win at Craven Cottage the last time the teams met in February 2017. West Ham and Bournemouth have two wins each in six Premier League meetings. Both matches last season were drawn. Bournemouth’s first Premier League victory came at West Ham, a 4-3 triumph in August 2015 featuring a Callum Wilson hat-trick. The Cherries’ total of 12 goals against the Hammers is their best return against any Premier League opponent. West Ham could give debuts to more of their summer signings with forward Lucas Perez and Colombian midfielder Carlos Sanchez in contention. Long-term absentees Manuel Lanzini, Winston Reid and Andy Carroll remain out in an otherwise fully-fit squad. Club-record signing Jefferson Lerma could make his bow for Bournemouth but fellow new arrival Diego Rico is suspended because of his final-day dismissal in La Liga last season. Junior Stanislas is still sidelined. Though naturally concerned by some aspects of their capitulation at Anfield , West Ham fans will more realistically reserve early judgement of the new Manuel Pellegrini era until they’ve witnessed this weekend’s events. As clashes with Arsenal, Chelsea and Manchester United are on the agenda before the end of September, there’s certainly a feeling that they could do with beating a team who have won just two of their last 15 away trips. That said, Bournemouth’s victory against Cardiff a week ago means they are now closing in on a club-record fourth straight top-flight success and having not lost to the Hammers in almost two years, their expectations will be high. Chelsea have won five of their last six home league games against Arsenal, with the exception being a 0-0 draw last season. Arsenal have failed to score in four of their last five Premier League visits to Stamford Bridge. In all competitions, there were two meetings between Chelsea and Arsenal at Stamford Bridge last season, with both finishing 0-0. Prior to that, Chelsea had scored in 12 consecutive home matches against the Gunners in all competitions. In all competitions, Arsenal have kept a clean sheet in their last two away games against Chelsea. They’ve not kept three in a row away at Stamford Bridge since January 1924. Arsenal and Chelsea have met 52 times in the Premier League. In the first 26 meetings, Arsenal had a 54% win rate (W14 D9 L3), while Chelsea have won 54% of the last 26 (W14 D7 L5). Arsenal lost their opening Premier League match against Manchester City – they haven’t lost both of their first two games in a season since 1992-93 (vs Norwich and Blackburn). Arsenal were beaten 2-0 at home by Manchester City in their first competitive match under Unai Emery. Petr Cech will continue in goal for the Gunners despite being criticised for aspects of his display against City. Midfielder Cesc Fabregas will not feature against his former club due to a minor injury, but Sarri hopes he will be back in training next week despite describing it as “a very unusual injury”. Arsenal will be without Ainsley Maitland-Niles after he suffered a small fracture to his leg in last weekend’s defeat to Manchester City that could rule him out for up to two months. Maitland-Niles played at left-back in that loss and is likely to be replaced by fit-again Nacho Monreal, with Danny Welbeck also back in training, but Sead Kolasinac (knee), Laurent Koscielny (Achilles) and Carl Jenkinson (ankle) are absent. Dyche is expected to make several changes after his side’s Europa League exertions but Robbie Brady, Steven Defour, Nick Pope and Tom Heaton remain on the injured list.Matej Vydra is also unlikely to be involved. The £11m signing is short of match fitness after a disrupted pre-season at Derby and is not yet considered ready for first-team action. Watford are still without injured quartet Gerard Deulofeu, Nathaniel Chalobah, Tom Cleverley and Stefano Okaka. Burnley have won three of their four Premier League meetings with Watford (L1), including both matches last season. Watford haven’t won any of their last 10 away league games against Burnley (D4 L6), failing to score in the last three. Their last win at Turf Moor was back in April 2004 (3-2). Watford haven’t scored in their last 349 minutes of league football at Turf Moor against Burnley since a Nathaniel Chalobah goal in the 11th minute of their 1-1 draw in the Championship in December 2012. Burnley are winless in their last six Premier League games (D3 L3), following a run of five wins in a row in March and April last season. o At home, Burnley have kept just one clean sheet in their last 10 Premier League games (W2 D3 L5) – a 0-0 draw with Brighton in April. Watford have failed to score in their last eight away Premier League games, since a 1-3 defeat at Man City in January. Only Crystal Palace (10) and West Ham (9) have ever had longer goalless runs away from home in the competition. After their record breaking Premier League season last year, Pep Guardiola’s men faced a potentially tricky opener to the defence of their title. 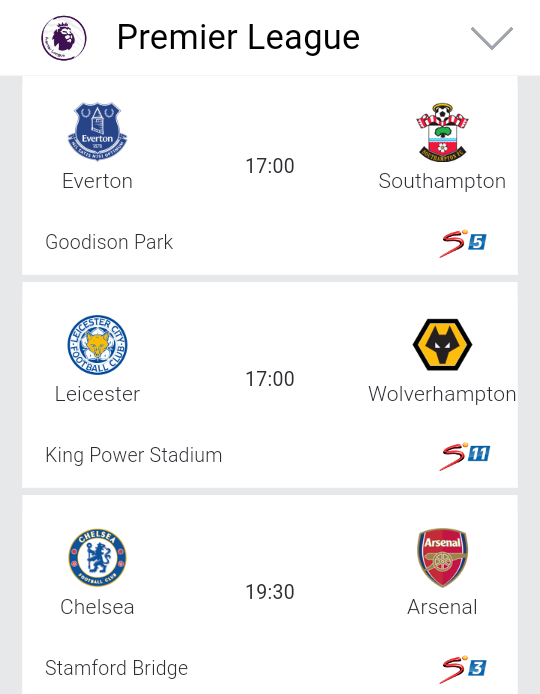 Manchester City made the trip down south to the Emirates Stadium to face an Arsenal side under the fresh management of Unai Emery. It didn’t turn out to be a tricky fixture for the dominant Manchester City though. They controlled the ball for long periods at the Emirates, opening the scoring on 14 minutes via a magical Raheem Sterling strike and deservedly doubling their lead in the second half thanks to Bernardo Silva. It was a composed, efficient, and quite frankly a routine win for the visitors, despite their illustrious opponents. That sort of performance doesn’t bode well for the potential challengers to Manchester City’s throne, and not many will be expecting them to slip up at home to Huddersfield on Sunday. The hosts scored in all but one of their home Premier League games last season and have found the net in 17 of their last 18 home and away. The one blip on those records did actually come at home to Huddersfield, but a repeat of that goalless draw looks extremely unlikely here. Manchester City won 16 of their 19 home league games last season and scored a huge 61 goals in total, and they’re facing a Huddersfield side coming into this on the back of a thrashing. 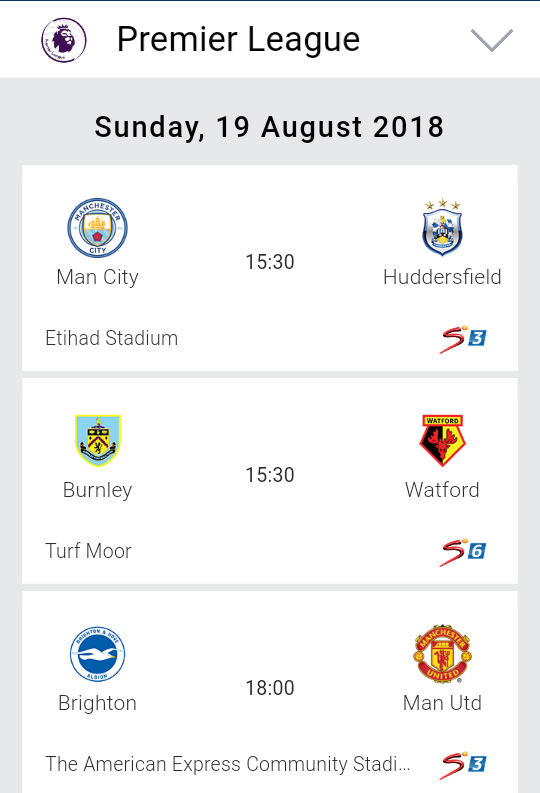 Manchester City have won two, drawn three, and lost one of their last six meetings with Huddersfield, although their only defeat during this period was in the Championship back in 1999. The last time that Manchester City won a home league game against Huddersfield was in 1987, with the Citizens winning by the ridiculous scoreline of 10-1. Manchester City remain without Danilo and Eliaquim Mangala for this clash, while David Silva is a fitness doubt. The big news, however, is a potentially serious knee injury suffered by Kevin De Bruyne in training which is likely to keep him out for up to three months. Huddersfield come into this tie without Juninho Bacuna, Danny Williams, Isaac Mbenza, and Erik Durm. Jonas Lossl should be back between the sticks though, while new signing Adama Diakhaby will hope for a start after making his debut from the bench against Chelsea. The Seagulls will be looking to bounce back following a disappointing 2-0 defeat to Watford on the opening weekend, but face a tough task in taking on the Red Devils. Jose Mourinho’s men beat Leicester 2-1 last Friday, and will be looking for another three points on the south coast. Unfortunately for the Portuguese boss, his injury issues have not disappeared ahead of the second game of the season. Right-back duo Antonio Valencia (calf) and Diogo Dalot (knee) are both out, although Ashley Young could now start having nearly two weeks of training under his belt following his late return after the World Cup. However, Jesse Lingard, Marouane Fellaini, Romelu Lukaku and Phil Jones are now all in contention for starts as they approach full fitness following post-World Cup breaks. That means Juan Mata, Marcus Rashford and Andreas Pereira could all be dropped to the bench, although we expect the latter to remain in the line-up for now. Jose Izquierdo (knock), Florin Andone (knock) and Bruno (hamstring) are all doubts for the hosts who could bring new signings Yves Bissouma and Alireza Jahanbakhsh in for first starts after coming off the bench last week. If Chris Hughton does so, he will have to choose who to drop out of Solly March, Anthony Knockaert, Yves Bissouma, Pascal Gross and Dale Stephens. Wilfried Zaha can become Crystal Palace’s all-time Premier League top scorer as they face Liverpool on Monday Night Football. He will make Crystal Palace history if he can find the back of the net at Selhurst Park on Monday night, less than a week after he signed a new five-year contract with the Eagles. The news came as a relief to Roy Hodgson, who admitted he had been concerned the club’s top scorer from last season could have left during the summer. For their opponents Liverpool, Sadio Mane scored twice as Liverpool thrashed West Ham 4-0 at Anfield last weekend, taking an early lead ahead of Mohamed Salah and Roberto Firmino in the goalscoring stakes early on – even if the Egyptian will be favourite to overturn that soon enough. Manager Jurgen Klopp said the trio operate more in a spirit of co-operation than competition, however, with each bagging at least 20 goals in all competition last season. Max Meyer could make his Crystal Palace debut against Klopp’s side. The summer signing from Schalke missed last weekend’s 2-0 win at Fulham as he fought for full match fitness. But Hodgson has no fresh injury concerns so can pick from a full-strength squad. Liverpool could bring Joel Matip and Fabinho into their squad for the trip to south London. Crystal Palace have lost each of their last three home league games against Liverpool – it’s their longest losing home run against the Reds in league competition. After a run of three defeats in a row against the Eagles, Liverpool have won four of their last five Premier League meetings with Crystal Palace. The last Premier League meeting on a Monday between these sides was back in May 2014 – Liverpool were leading 3-0 after 78 minutes before Crystal Palace came back to draw 3-3. 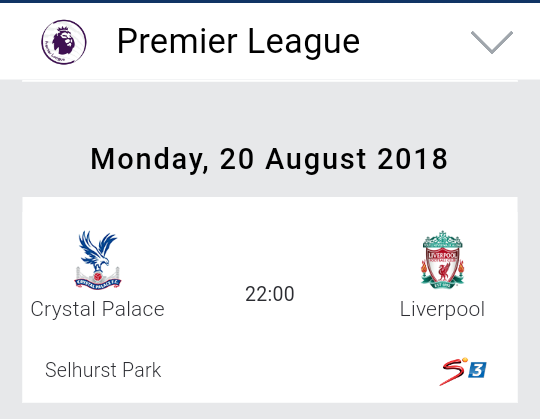 Crystal Palace, who have won their last three Premier League games at Selhurst Park, are looking to secure four home top-flight wins in a row for the first time since December 1990 – the fourth game in this run also came against Liverpool. Crystal Palace’s Wilfried Zaha needs one more goal to become the Eagles’ all-time highest Premier League goalscorer (currently 23, level with Chris Armstrong). Crystal Palace striker Christian Benteke has scored six goals in nine top-flight games against former club Liverpool, more than he has against any other current Premier League team.